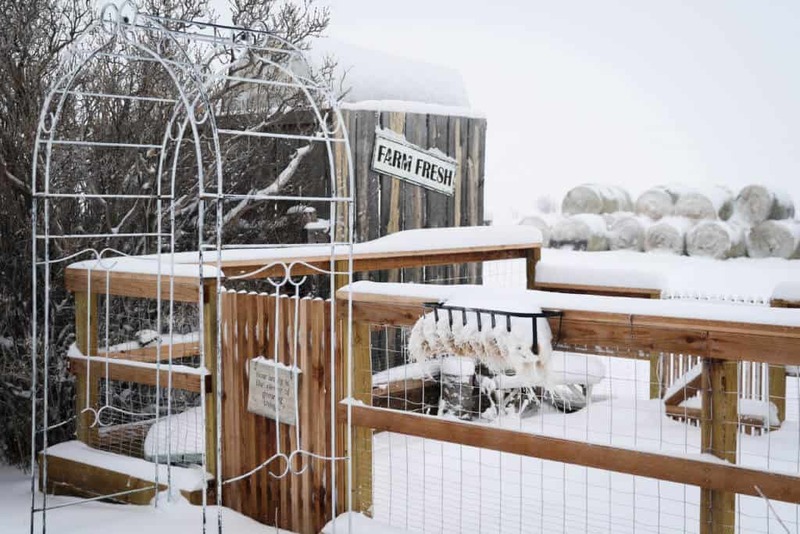 As I type this, we are in the midst of a good old-fashioned Wyoming ground blizzard, complete with road closures, snow sand-blasting your face when you step out the door, and drifts higher than my knees. We knew it was coming when it dumped nearly 12-inches of snow yesterday. That’s the pattern ’round these parts: fluffy, dry snow followed by 50 to 60mph winds the following day. It happens just like clockwork. The barn and coop are a snowy disaster, and it takes mountaineering skills to climb the drifts in the barnyard. And so, I’m hunkering down inside with a cup of herbal tea, a roast in the crockpot, and a pile of seed packets waiting for it to pass. That’s right my friends, it’s seed ordering time. Inevitably, when I mention seeds on social media, I’m peppered with a dozen questions or so about my favorite seeds and where I buy them. Thus, I figured it was high-time to write it all out in an official blog post. Passed down from generation to generation. Most folks agree that in order to be considered an heirloom, a plant must have been around for at least 50 years, although many varieties have been around for much longer. 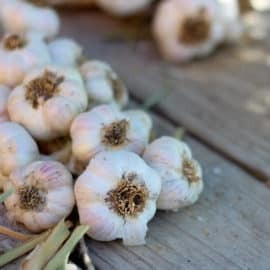 This means they may have been lovingly cultivated and preserved by someone’s great-great-grandma, or grown as a market-variety hundreds of years ago. Not hybrids. Hybrids are plants that have been artificially crossed for better production, color, portability, etc. For example, let’s say you have a variety of tomato that grows big, beautiful fruit, but doesn’t produce a large yield. But you also have another variety of tomato that has fantastic yields, but smaller fruit. By crossing these two plants, you feasibly could create a hybrid that would give you the best of both worlds. However, it would be pointless to save seeds from your new hybrid plant, as any seeds you held back would not produce true to the type of either parent. And so if you are growing hybrids, you’ll have to repurchase seed each year. Not genetically modified. I see a lot of folks confusing hybrids with genetically modified organisms (GMOs) and they are NOT the same thing. A GMO is something that has been altered with molecular genetic techniques. You can’t do this at home and it’s unlikely you’ll run across many GMO seeds in your home-gardening seed catalogs. It costs a lot of money to genetically modify something, so most companies focus on the process for large-scale industrial crops. GMOs are highly controversial, and I prefer to steer clear of them whenever I can. Oh man… Where do I even start? The taste! 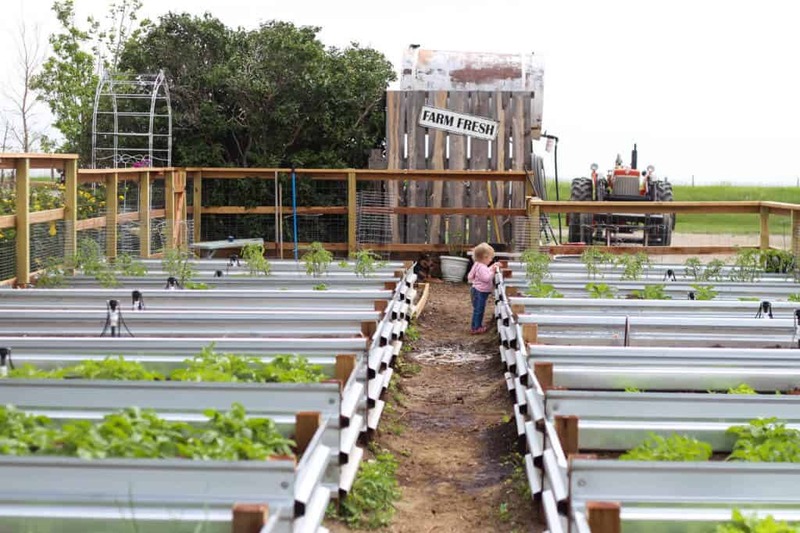 Heirloom veggies haven’t been subjected to selective breeding that favors uniformity and their ability to be shipped cross-country over taste. 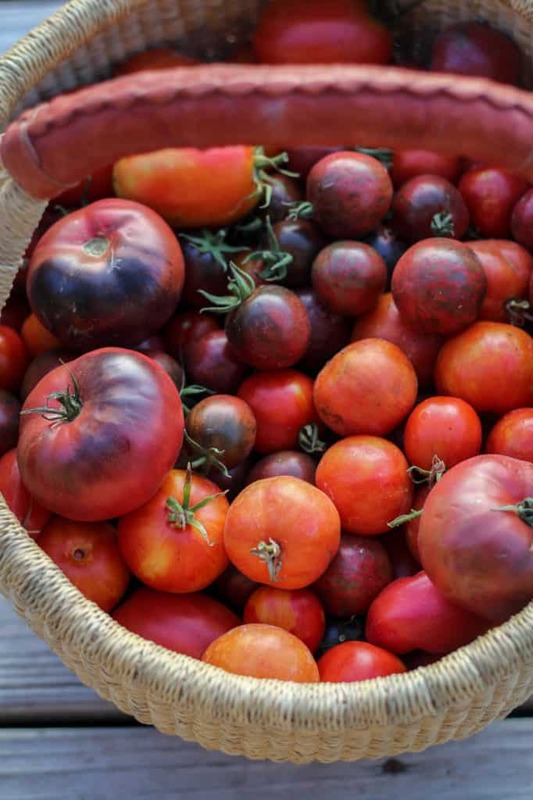 Heirloom tomatoes taste like, well, tomatoes; not the bland mush you’re used to getting at the store. Last summer I grew an heirloom spinach crop in our raised beds. Normally I’m just “meh” when it comes to spinach; it’s fine, but nothing I really crave. However, I couldn’t get enough of my heirloom spinach crop! 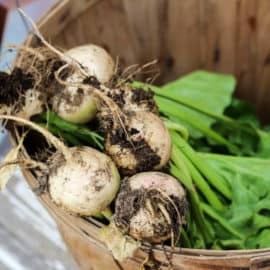 It had a flavor like I’ve never experienced from store-bought spinach, and I found myself going out to the garden several times per day to grab handfuls. The taste difference alone is worth sourcing and growing heirloom seeds. Adaptability. 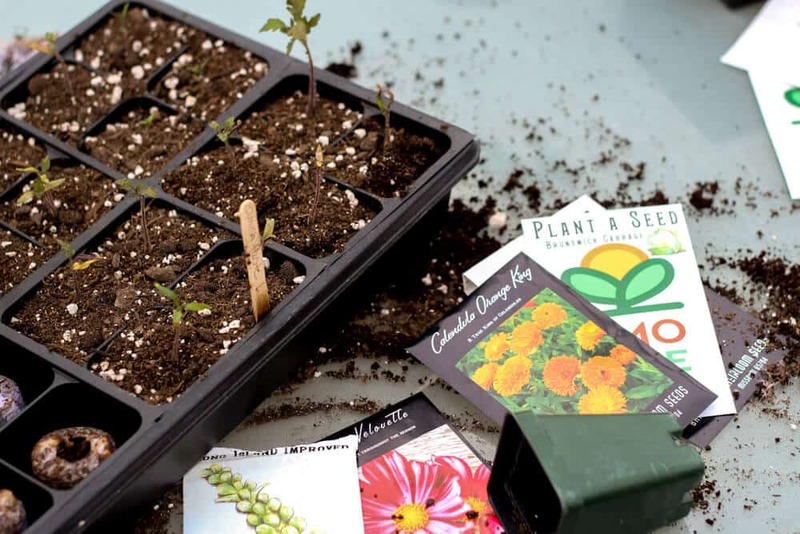 If you plan on saving the seeds from your heirloom plants, some varieties will adapt to their location and grow a little bit better each year. Pretty cool, eh? Nutrition. There are some interesting studies that have shown a decrease in the nutrient-density of our food supply over the decades. 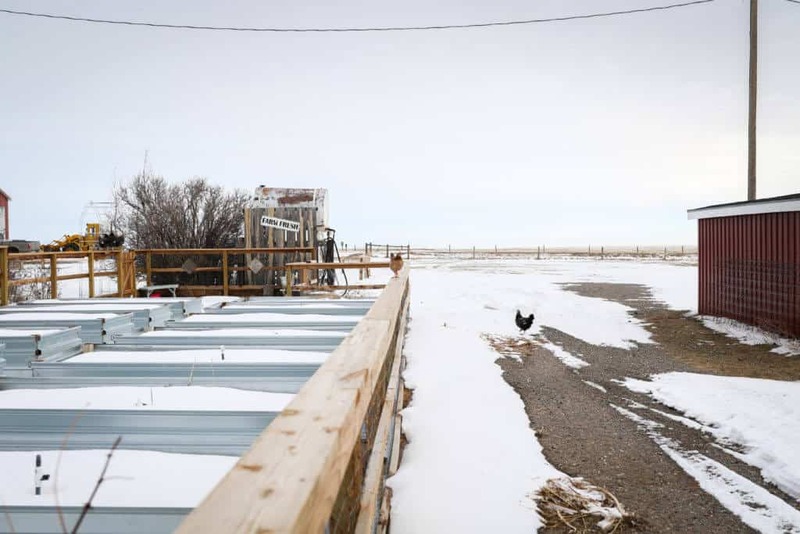 High yields have taken priority with nutrient-content being pushed to the back-burner. 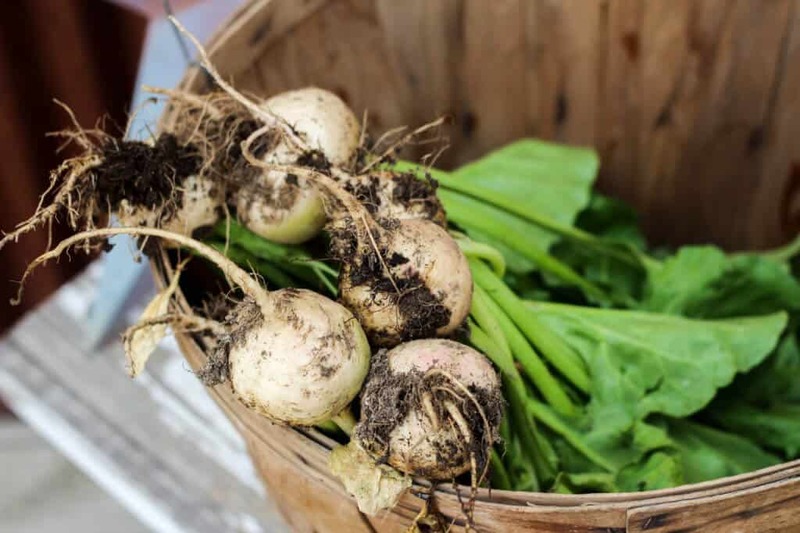 While not all heirlooms are automatically higher in nutrients, there’s a very good chance that your heritage veggies will contain more vitamins and minerals than run-of-the-mill, mass-scale-variety grocery store produce. Preserving rare varieties. When you purchase heirloom seeds, you’re supporting all the folks over the decades who have taken so much time and care in saving these seeds, and you’re encouraging genetic diversity for future generations. The stories. 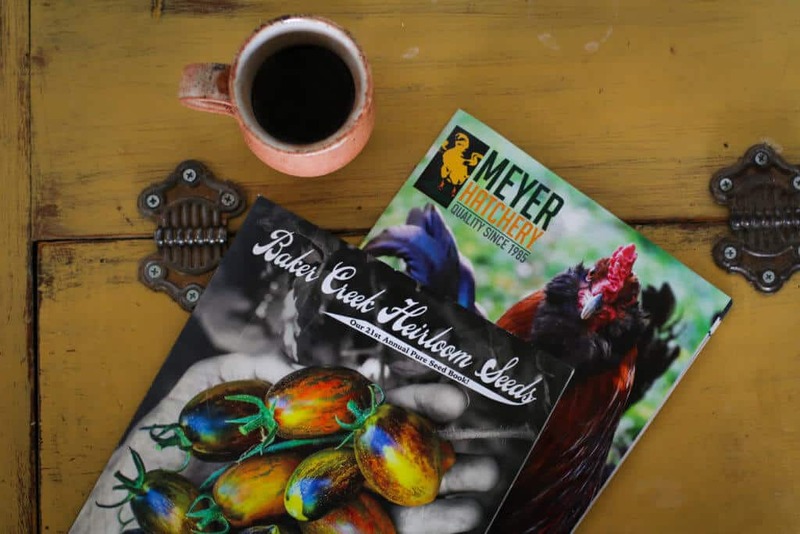 One of the very best parts of heirloom seeds are their stories. 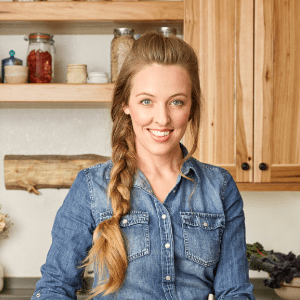 There are ancient melons from Iraq, hardy corn developed in the mountains of Montana, globe-like carrots from France, and fluted Italian tomatoes from the early 19th century. It’s really, really hard for me to opt for ho-hum seeds when I have tantalizing options like these available. Heirloom vegetables really aren’t that different to grow than regular seeds. However, here are a few tips to ensure your success. Tip #1: Go online or order through a catalog. Unless you have spectacular garden stores in your area, you’ll find a much better (and more exciting) variety online or in catalogs. The scant heirloom offerings at my small, local garden stores are disappointing at best. Tip #2: NOW (aka January or February) is the time to be stocking up on seeds– the best varieties sell out fast and it’s likely they won’t be available if you wait until April or May. Tip #3: Read the description to find the growing time and any special notes about climate or location. This is the first thing I look for when I’m seed shopping, and it can really make a difference in our short Wyoming growing season. Tip #4: Experiment with new colors and types of vegetables– get out of the rut of only red tomatoes and only green beans and go crazy! I won’t make you wait any longer! Here are five heirloom seed companies that come highly recommended from homesteaders all over. These all sell non-GMO, open-pollinated varieties, although not all of their seeds are Certified Organic. Government organic certification isn’t all that important to me, providing the companies are committed to sustainable growing/sourcing practices. This is where I’ve ordered almost all of my seeds for over 7 years and I couldn’t be happier. They have a huge variety, a gorgeous catalog, and they include a free pack of seeds with every order. Click here to shop Baker Creek. A non-profit community of folks who are dedicated to preserving seeds for the generations to come. Lots of diversity to choose from! Click here to shop Seed Savers Exchange. They carry non-heirloom seeds as well, but have a considerable heirloom section of their website. Click here to shop Territorial Seeds. 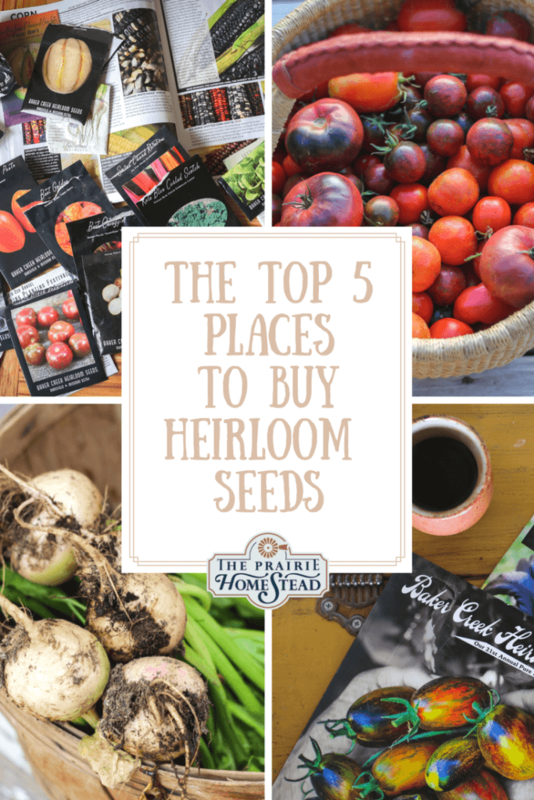 What’s your favorite place to buy heirloom seeds? Leave a comment with a link and 1 or 2 sentences why you like them and I’ll add it to this post! Seed Treasures is a great place to order. Jackie Clay-Atkinson and Will Atkinson have just recently begun to sell their seeds, so it’s a very small operation right now. All seeds are open-pollinated and heirloom and have been tried, tested and tasted. 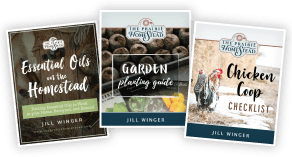 You can read detailed descriptions about each seed selection written by two of the most dedicated homesteaders in the business, Jackie & Will. Reasonably priced, too! They’re great at responding to your questions via email. Wonderful– adding them to the post right now! Thanks for sharing! I’m adding them to the post right now! I love Mary’s heirloom seeds and seeds for generations. They’re both great, small Mom and pop type shops that are dedicated to preserving our agricultural heritage and heirloom seeds. Their customer service is amazing. The varieties may not be as plentiful as a place like baker’s, but they do have quite a variety considering their size! Botanical Interests, out of Broomfield, Colorado, also sells OP seeds, some heirlooms. You can choose to sign up for their highly informative blogs as well, plus their packts have TONS of information inside and out. I love packets with good info on them– just added them to the list! I would also add Victory Seeds to your list. From Molalla, Oregon, they are some of the sweetest people in the seed industry, and an early signer of the Safe Seed Pledge. They always get a share of my business! Thanks Brian! Just added them to the list. I would like to second this nomination of Brian’s. This is the first year I found Victory Seed but although their catalog is small (when compared to these big giant seed companies) their offerings are diverse and unusual in many cases. For this 2018 season, I searched for months trying to find a company which offered a selection of dwarf tomato seeds and couldn’t come up with anyone who offered me any new choices. Everyone I saw, same old…same old. But Victory came through admirably. They do that also with many other types of plants also. We usually buy from Territorial Seeds knowing that they test the seed germination for our area. That Baker Creek catalog is tempting though!! Maybe we will do both this year. I buy my seeds from Seed Saver and Baker Creek. Been buying for years from Victory Seed in Molalla,OR… Small family run company that has really worked hard to offer a large variety of seeds. My favorite is Japanese hulless popcorn! I agree with Melanie, especially for my area (South with hot and humid summers). Some seeds from the northern areas work well here, some not so much. I also recommend Southern Exposure Seed Exchange. I’ve purchased seeds from them for a few years and they germinate well and have great pricing. Plus, their catalog highlights the growers and are very informational. THANK YOU FOR SHARING!! You’re a rockstar. This year I ordered from Seeds Now! It is a small, family-run company, and the customer service is good. They are from New England, like me. I can use their location as a guide for what will work in my own garden. Most of their seeds are open-polinated or heirloom, but they do have some hybrids. They have many organic options, no GMOs. Their seed packets are a good price and sized right for a home garden. They also offer a good selection of live plants. I have bought onion, sweet potato, and raspberry plants from them which were all very successful. Baker Heirloom has been my go-to for years. They’ve never disappointed. In fact, I just placed another order with them today! Baker Creek is my “go to” as well. If any of you are ever in the Mansfield MO area, do yourself a favor and stop by. Their pioneer village is great! Jentri and I can spend an entire day going through the thousands of different varieties of seeds and the numerous outbuildings with good ole homemade goods. Baker Creek has been my go-to for years. However, our Mojave Desert demands specialized handling, so I’m going to try Native Seeds. Our annual rain fall is 4 inches per year, and the drought of the last few years has brought us even less rain than that. 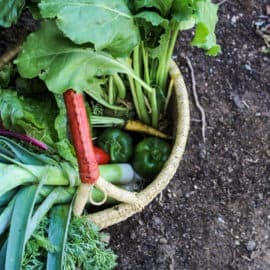 I grow and harvest veggies in the winter, and let the garden lie fallow during the 120 degree heat of late spring and summer. I have a very short growing season, too, Jill, but at the opposite time of the year as yours. Hence, Native Seeds. Fedco seeds from Maine! A locally owned and operated company. I am entertained by their catalog for days on end, and their prices are great. 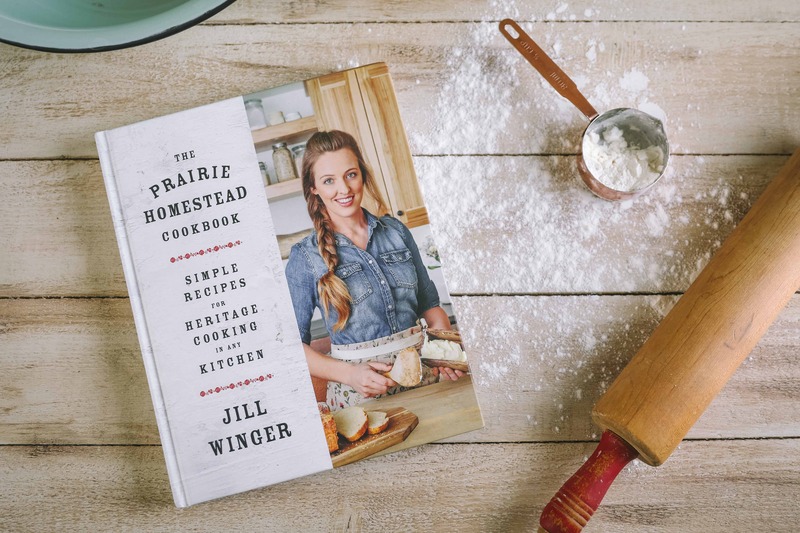 And especially you Jill might be interested – They also have a great selection of heirloom apple trees and other fruit trees, all of which are HARDY to some part of Maine. They’ve had the best quality of both that I’ve tried so far. I’ll be honest, Baker has a flashy catalog, but unless they’ve improved since I tried them years ago, I was very unimpressed with their seed, though their selection is creative! For all the Canadians out there, I get all my seeds from Heritage Harvest Seed. http://heritageharvestseed.com/ I love that it is a small business in my home province so I am supporting a local farmer. Every time I order she always includes a free package of seeds. It feels like it is a neighbour sharing seeds with me and I am able to try different plants that I didn’t think of trying. Some have even ended up becoming my favourite varieties. Even if you don’t live in Canada, I would recommend browsing and learning the history of different vegetable and flower varieties. Perhaps you can find the same variety elsewhere in your country. http://www.redwoodseeds.net located in the Mt. Lassen foothills of far northern California, husband and wife run, small operation for several years!!!!! I’ve purchased from them for years and always very satisfied. Also, Renee’s seeds, online. Baker Creek and Seed Savers (which is only about an hour away from me!) have been my go-to for seeds for the last several years. I totally needed a reminder to get on the ordering for this year’s seeds so thank you! I love St. Clare Seeds. They have great germination rates and ship super fast. https://www.stclareseeds.com/garden-help/ I also buy from Baker Creek, and I’ve gotten seeds from Seed Savers in the past with good results. Baker Creek has been the most generous company to our school and community gardens. The selection is amazing! Living in coastal Georgia creates garden challenges. I also use Southern Exposure, Botanical Interest and Peaceful Valley. I’ve ordered from Annie’s Heirloom Seeds the last few years and had a lot of luck with their seeds. Last year I ordered some from Baker Creek’s catalog and had a lot of luck with those seeds also. One of my favorite seeds from Baker Creek is a little cantaloupe called Golden Jennie. Produced great tasting individual size cantaloupe! I love baker creek seeds and I also use sow true seeds seed company in Asheville NC! We bought seed to raise seed . We even grew tobacco for seed . We now have so much we are using our stock down to replenish . We got into an opportunity that well caught us flat footed . I had been trying to buy half a steer ,for beef .The guys car broke down and We ended up with a half angus half holstein yearling,the whole enchilada .Now,We are in a crash course on raising a steer for beef . He has already earned the name ” Hamburger Houdini” . I have been wanting to make pemmican and with the leaf fat will make ten or so pounds of pemmican . Pemmican is the ultimate survival food . I have heard that one needs to buy seeds from a grower that grows seed in a climate zone as close as possible as where you are planting. I will be planting in a 7a planting zone. Do you have a recommended nursery that raises heirloom seeds in zone 7a? For the past few years, I have been ordering from SeedsNow. In addition to the great variety, they also offer inexpensive small packs of most seeds. For my family, I don’t have the room for a hundred tomato plants and a hundred pepper plants. 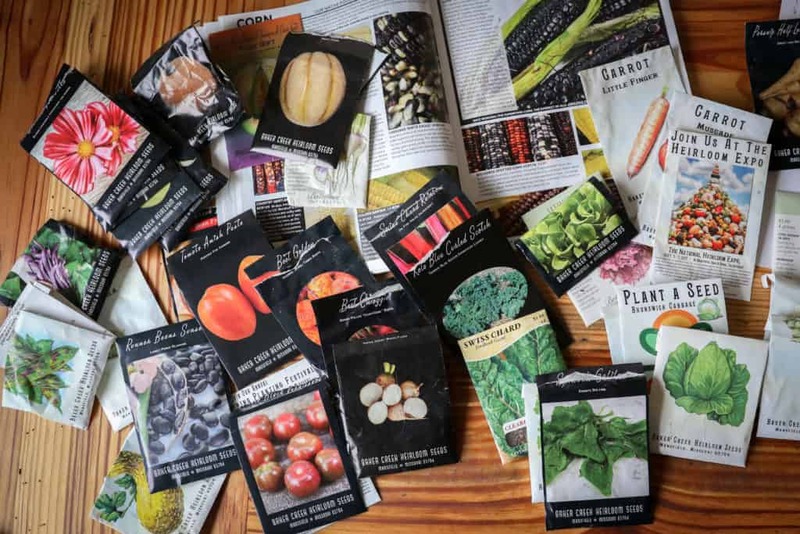 It’s great to be able to buy a packet with only 10-15 seeds – that way I can plant a greater variety of vegetables without having to pay full price for packets of seeds, most of which won’t be used. They also sell herb and flower seeds. List of great heirloom seed companies. I’m partial to Clear Creek Seeds. 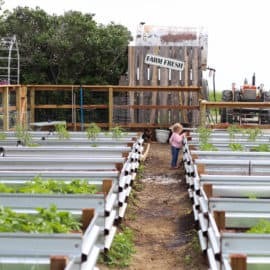 Seed Savers is only about a hour away from where we live but have never been there it is on my to do list here real soon. We have allways talked about it. I love growing our food. Sow True Seeds is a small company based out of Asheville, NC. They have seeds that are specially selected to grow in that surrounding area (as well as others!). I also recommend Pinetree Seeds. I like that they are family owned and give outstanding customer service. Pinetree located in Maine has organics, heirlooms and also stuff to make your own soap, lotions, candles etc… since 1979. I also like Territorial mentioned in a previous comment. Totally Tomatoes also has some heirloom tomatoes. Stephen’s winter tip: Carry a packet of seeds (my favorite are radish) and plant a seed in any indoor pot with enough space to give them 2” of growing space. As you tend to your chores, add a seed ever week or so. Pull the crop as they mature and replace the seed. After about 25 days you will have a perpetual supply to snack on as you go about your day. This was my first time to your blog – Very cute! I’m an avid gardener in rural Central Utah. I have had the most wonderful success with Adaptive Seeds. It is a small seed company and their germination rate is out of this world. I just love them!